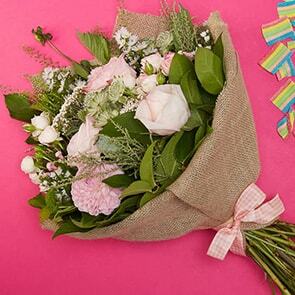 Are you planning to send a lovely spring bouquet to a special someone? At Bloom Magic, we can certainly help with that, and can even help you top it off with little extras, like chocolates or a personal note. Of course, coming up with the right words to include can be a bit difficult at times, especially when emotions are involved. If you’re facing writer’s block, consider including one of these verses in your note or use them as inspiration and craft your own. 1. Each flower must push itself up through the dirt before bathing in the sun. May these flowers remind you of the brighter days ahead that your hard work is sure to bring. 2. Take time to stop and smell the roses- you’ve earned it! 4. I couldn’t send a hug, so please consider each flower an embrace from me to you. 5. It takes both rain and sunshine to create beautiful flowers like you. Keep smiling- the best is yet to come. 6. Each time you look to these blooms, know that it’s another time I’m thinking of you. 7. May these flowers brighten your day just as you have brightened mine. 8. For someone as vibrant as these flowers and younger than springtime. 9. You don’t wait for a special day to be your wonderful, loving self, so I’m not waiting for a special day to send these flowers. Thank you for being you. 10. If these flowers bring you even a fraction of the joy that you bring to me, they’ve more than accomplished their goal. 11. How many petals are on these flowers? That’s how many reasons I have for loving you. 12. I wanted to send you the most beautiful gift I could think of, but sending you to yourself would be weird. Hopefully these flowers convey the same message, but a little less awkwardly. 13. You make my heart bloom! 14. Now that I’ve found you, it’s always springtime in my heart. 15. Goethe once wrote, “Flowers are the beautiful hieroglyphics of nature, with which she indicates how much she loves us”. May these flowers remind you of my love for you too. 16. Thank you for planting the seeds of love in my heart. Bloom Magic’s wide selection of fresh-cut hand-tied bouquets is sure to have the perfect offering for your special someone, no matter how discriminating his or her tastes may be. 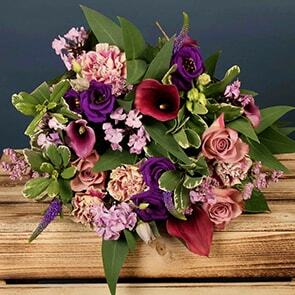 We carry many elegantly-designed bouquets with roses, lilies, and more, in vibrant colours designed to delight. 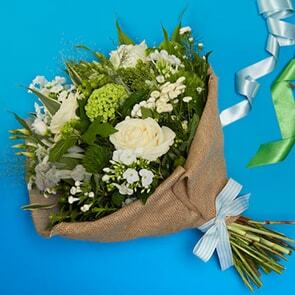 Order your spring flowers bouquet now and have it delivered in Dublin today or anywhere in Ireland tomorrow, and be sure to check out our gifts section if you’d like to customise your gift with chocolates or something else that’s certain to brighten your recipient’s day.